“I’m going to put all my energy into helping out as much as I can,“ said Kylian Mbappé, the young prodigy of PSG and France’s national team. “Football is very powerful because it brings people together and unites them,“ said Didier Drogba, the former star of OM and Chelsea, who created a foundation for the health and education of young people in Côte d’ Ivoire and Africa. “We are proud to be part of this project,” said FIFA president, Gianni Infantino, for whom “the election of George Weah as President of Liberia has given a new impetus to what sport and football, in particular, can do for education and development in Africa. “It’s a way to find a role in society, to rebuild respect, to have real heroes,“ says the head of state. 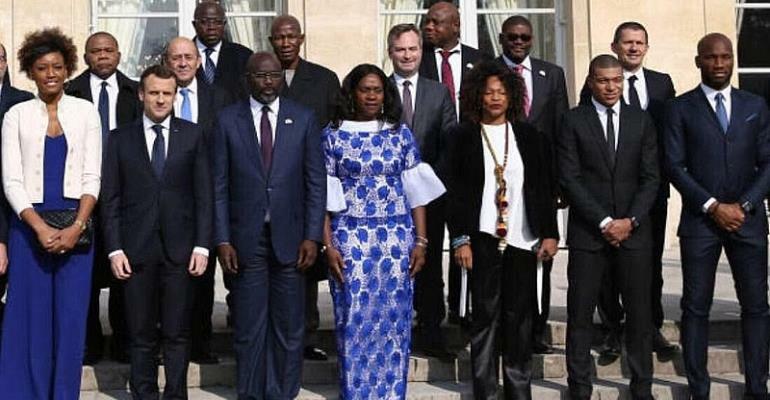 Elected President at the end of December, he thanked France for the €10 million donations announced by Mr Macron to “face the challenges” of a ‘broke Liberia’.